WASHINGTON, D.C. — Despite a hiring push to increase the size of the workforce over the last several years, Naval Sea Systems Command is still short 2,000 workers in its public yards, the head of NAVSEA told lawmakers on Wednesday. Vice Adm. Tom Moore told the Senate Armed Service subcommittee on readiness and management support that the Navy has seen the backlog of work in its public yards grow from 4.7 million man-days in 2011 to about 5.3 million man-days this year. In 2015, NAVSEA had a goal of hiring up to 33,500 workers across its four public yards by the end of fiscal year 2016. “Today, despite hiring 16,500 new workers since 2012, Naval shipyards are more than 2,000 people short of the capacity required to execute the projected workload,” read NAVSEA’s written testimony for the hearing. The testimony said the shortage and the inexperience of the work force – half have less than five years of experience – have extended maintenance availabilities for attack and ballistic missile submarines and aircraft carriers to more than twice their planned length. Maintenance backlogs have expanded due to increased operational tempo and the slowness of passing budgets, which further delays the yards’ ability to execute the work. 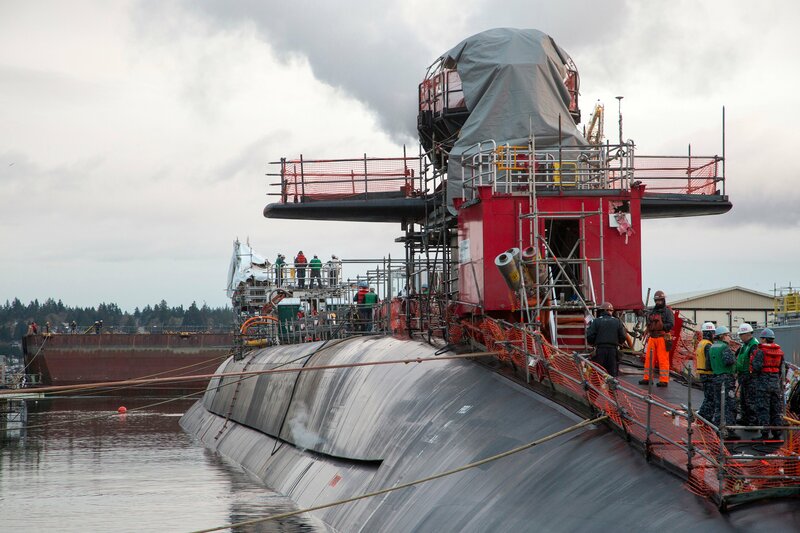 “The situation reached a boiling point this past summer, when in order to balance our workload the Navy decided to defer a scheduled maintenance availability on USS Boise (SSN-764) that will effectively take her offline until 2020 or later,” the testimony reads. Following the hearing, Moore told USNI News that the additional personnel would begin the process of clearing backlog and move the service in a positive direction for ship repair. “What we try and do is try and manage by rearranging schedules to fit what the fleet needs in terms of operational schedules, but eventually it’s an inefficient way to do the work,” Moore said. Moore predicted if the yards get the needed workers the Navy could work off the backlog in maintenance by 2023.